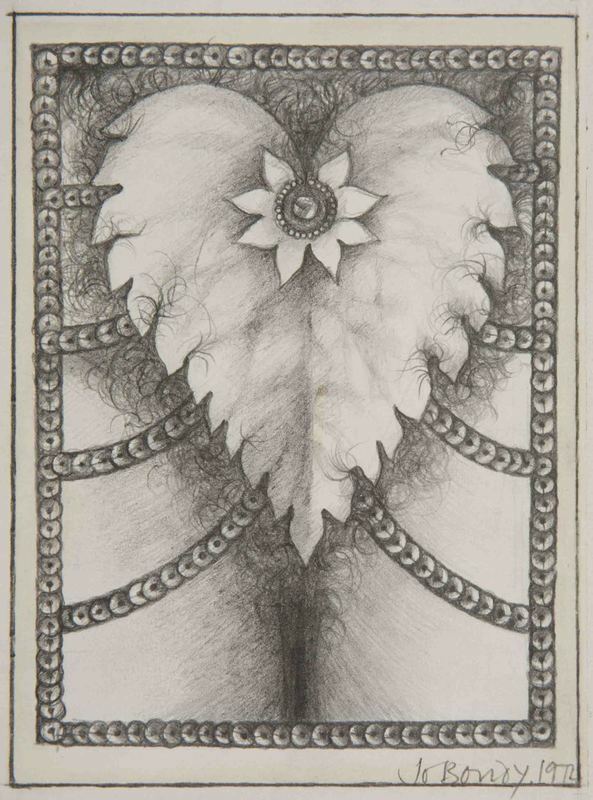 Jo Bondy can be described as one of very few British women Pop artists, although she was never acknowledged in art historical narratives of the movement. A group of her assemblages incorporating collections of memorabilia show an influence of the work of British Pop Art pioneer, Peter Blake. 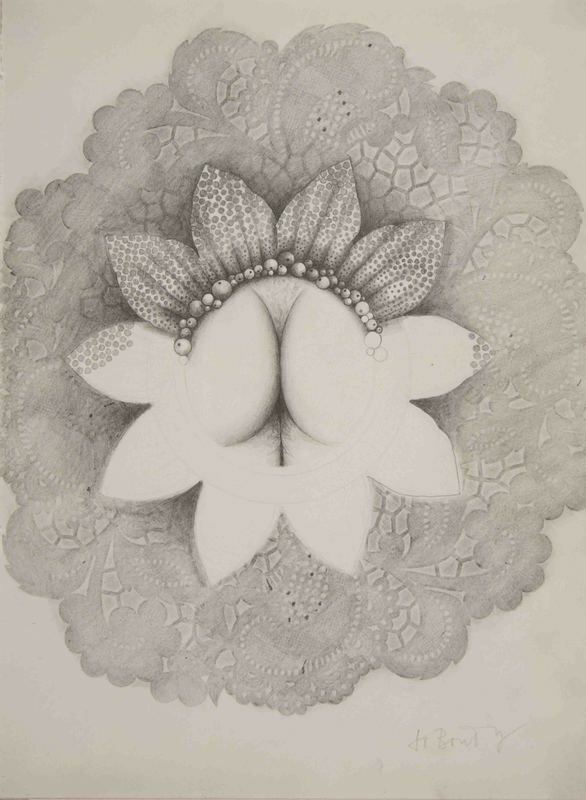 Bondy's work also often explored women's sexuality and made reference to women's 'roles' in society using her own, often explicit, sometimes even ribald, iconography. 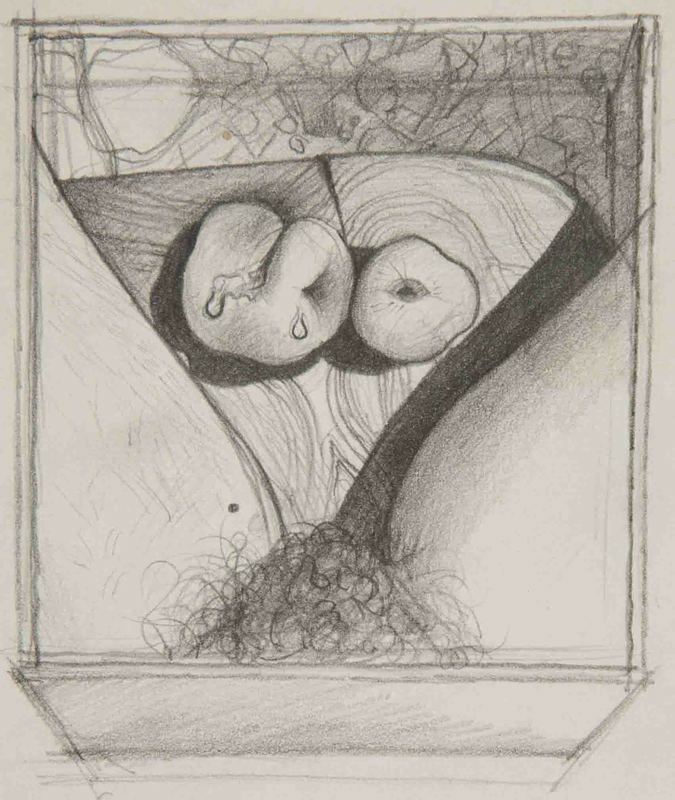 Her works, with their female subjectivity and overtones of Surrealism, often implied her awareness of the feminist movement and of the practice of other women artists. 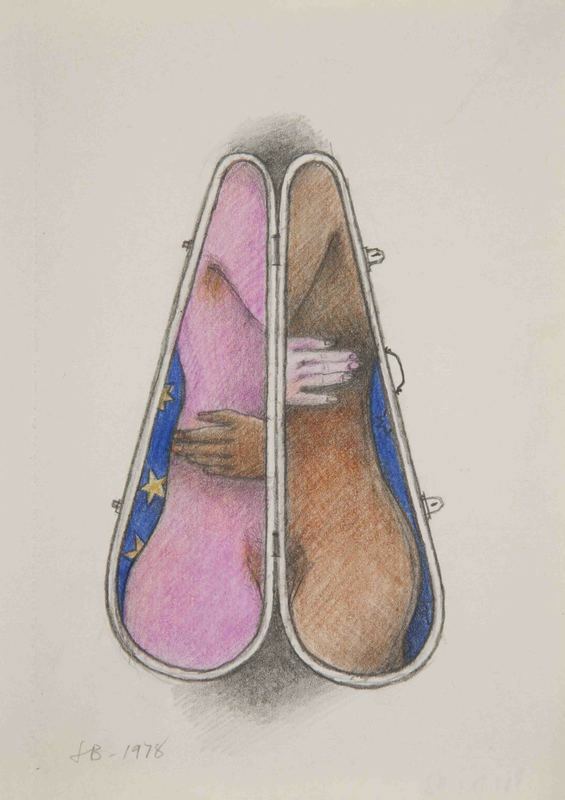 Violin case II, 1978, colored pencil and graphite on paper , 5.25 x 3.5 in. 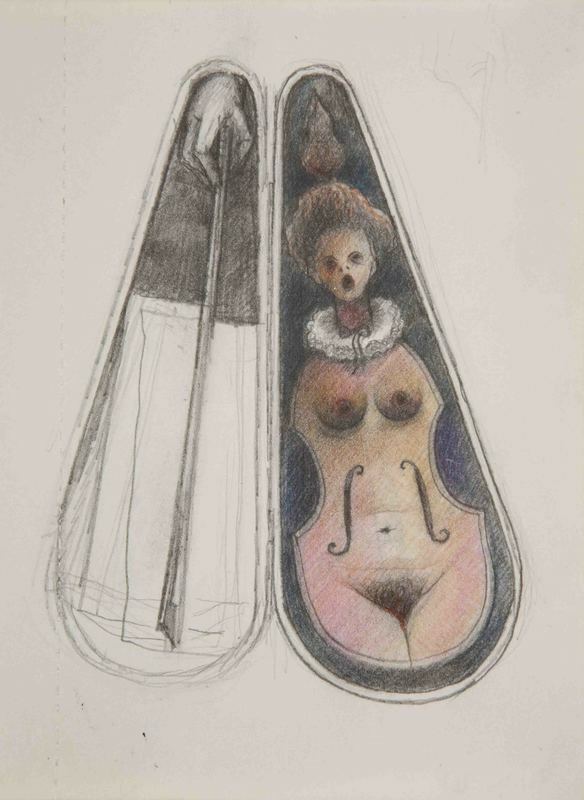 Violin case I, 1978, colored pencil and graphite on paper , 5.25 x 3.5 in.